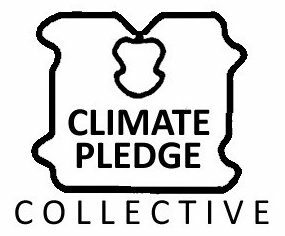 The core of the climate pledge collective is a pledge to change your consumption habits and become more politically engaged and spread that change by encouraging friends, families and neighbours make pledges of their own. Cutting our consumption won’t save the planet on its own, but it is the most immediate step that each of us can take right now. Our pledge list was designed in consultation with energy policy engineers to highlight the most effective actions you can take. By cutting consumption you are giving scientists, policy makers and corporate leaders breathing room to make long-term changes. After cutting your own consumption, get out there and demand that politicians and corporate leaders do the same! Changing daily habits is difficult, but these changes are good for your health and your budget and can lead to a more enjoyable lifestyle. Studies find that long commutes make you less happy and more stressed. Taking the train doubles as leisure time and cycling doubles as exercise. Red meat is bad for your carbon footprint, but it’s also bad for your body. Staycations are cheap and relaxing and they help you avoid the stress of airports. Cutting personal consumption in the face of a problem as big as global warming can feel disheartening. The Climate Pledge Collective is a simple way to turn individual change into group change by bringing others on board. The pledge sheets offer a palette of effective actions and the sponsor system helps you and your friends keep on track. When you pledge, make it public. Many of us are already taking action — buying electric vehicles, washing in cold water, going vegan — but these private actions are invisible to those around us. Making them public will spread hope and start to shift our culture as a whole. Our current pledge sheets are just a tool — feel free to adapt or change them. As long as you stick to the spirit of the collective — getting people and society to lower their carbon footprint by sharing ideas and connecting with other climate organizations — you are free to use our name and images however you see fit. Make a website just for your neighbourhood or city. Adapt our pledge for other students at your high school. Develop a pledge for restaurant owners, architects or any other profession using your expertise in your field.